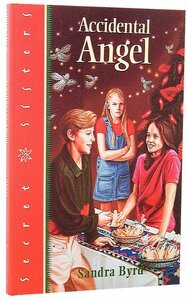 About "Accidental Angel (#04 in Secret Sisters Series)"
It's a week before Christmas and the Secret Sisters are ready -- to make money at the craft fair. Tess has big plans for her earnings. But after a fight with Erin, she has to reevaluate how to spend her money. Finally, a silent homeless girl reminds Tess what Christmas is really about. Book Four:Accidental AngelWill Christmas bring Tess Thomas big fun and big money--or troubles that will change everything? It's a week before Christmas and the Secret Sisters have plans to make money at the craft fair. Tess needs the cash to buy gifts for her family and pay her way to summer camp at the Lazy K Bar, a dude ranch she and Erin want to go to together. spend it the way she thought--and discovers along the way what Christmas is truly all about.